“Babe & The Kid” provides a well-researched recount of the story of Johnny Sylvester, a young boy who was laid up with a deadly illness. The night before game four of the 1926 World Series, Ruth autographed a ball for Johnny, inscribing it, “I’ll knock a homer for you in Wednesday’s game – Babe Ruth.” Ruth delivered on his promise, and Johnny made a miraculous recovery. Charlie Poekel is a former member of the New Jersey State Historical Commission, having been twice appointed by Governor Christine Todd Whitman. He is a member of the Society for American Baseball Research (SABR). 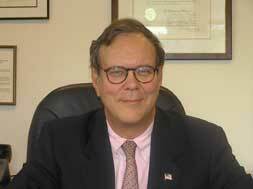 He is a practicing attorney and a member of the Bar in New York, New Jersey and DC. Get your copy of “Babe & The Kid” here. Charlie talks about growing up as a baseball fan. Mr. Poekel talks about how he became an author. Mr. Poekel gives us a background on his book, which tells the story of Babe’s interaction and impact on sick, little Johnny Sylvster. Mr. Poekel shares his thoughts on Babe’s ongoing impact as an icon. Mr. Poekel expresses his thoughts on some of the media’s negative portrayals of the Babe.